A 3-year-old boy was airlifted to a Oklahoma City hospital Saturday morning after he was accidentally backed over by a relatives vehicle after he had fallen out. The boy was alert when paramedics arrived to the home in the 4700 block of East Seward just before noon. It is unclear how the child fell out of the vehicle. The child suffered a leg injury and road rash above his waist after he was seen underneath the family’s Suburban vehicle. 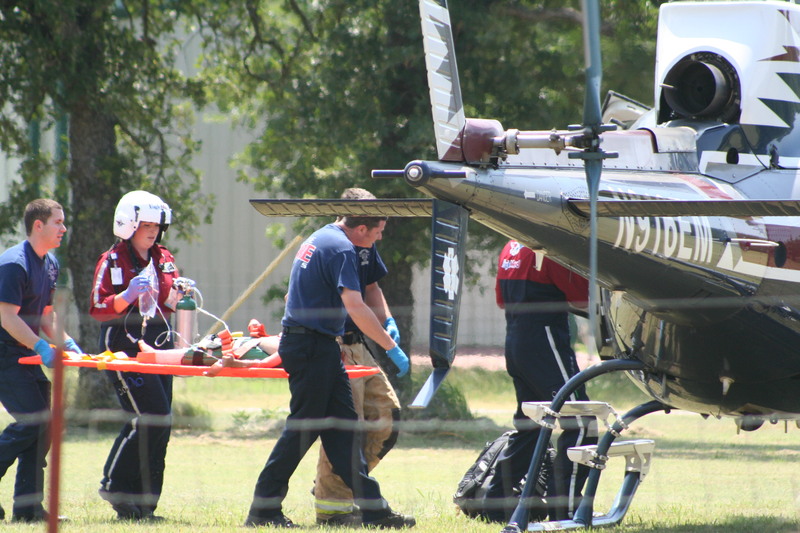 He was transported to the Eagle Med helicopter from the Guthrie ambulance with oxygen and an IV. According to Kids and Cars, a group that works on child safety around cars, about 50 children are backed over every week in the United States. 2 Responses to "Three-year-old falls out and backed over by vehicle"
How in the world does a 3 year old fall out of a car, he should have been belted into his chair then he couldn’t have fallen out. My opinion. Three year olds can sometimes get out of car seats. I remember my son unbuckling the seatbelt and opening the door as we were backing out of our drive. Fortunately he didn’t fall out of the car.